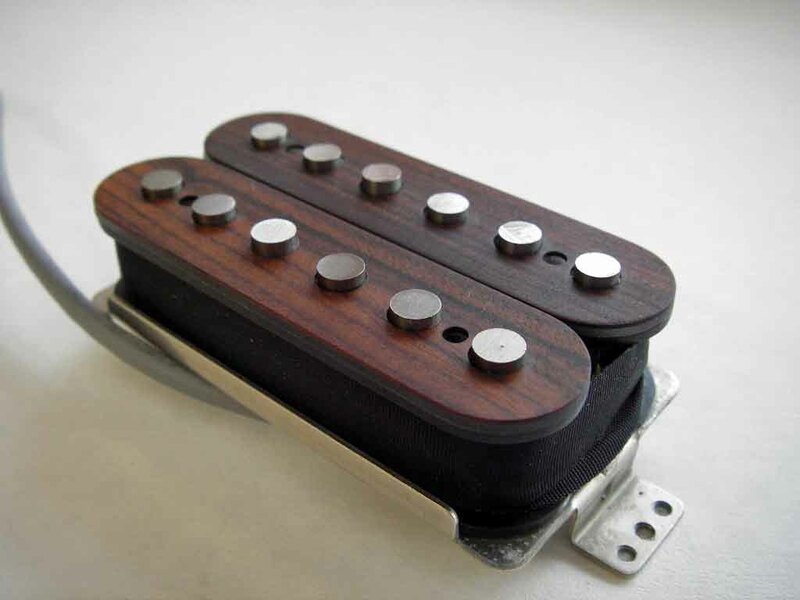 This pickup is based on an original idea of Swedish rock/fusion musician Richard Lainegard. 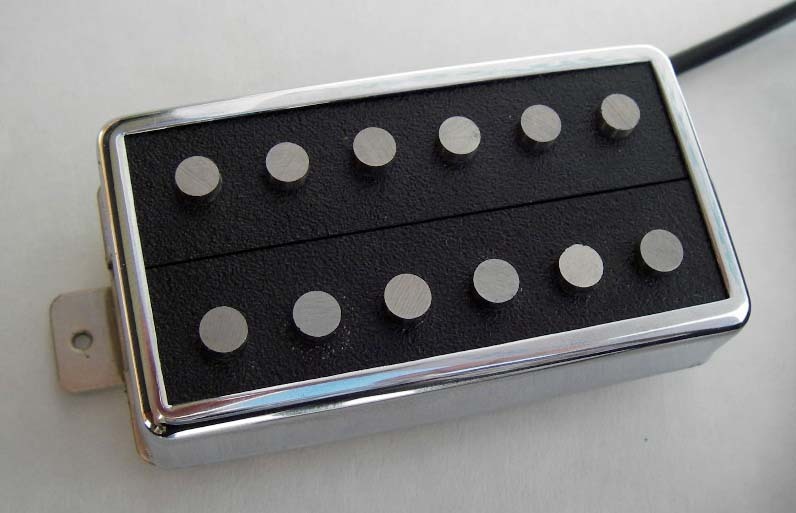 A humbucker neck pickup using two different kinds of Strat pickups. A coil closer to the neck is wound with Plain enamel magnet wire and uses fairly strong Alnico5 rods. Sound is clear with snappy attack and tight low end, very close to mid -60’s Strat sound. A coil closer to the bridge is wound with Heavy Formvar magnet wire using Alnico3 rods. The sound is bright with round low end. Great for clean “jazzy” tones. When coils are connected in series, the pickup produces nice fat humbucking sound still retaining a taste of a Strat-style singlecoil. A paraller connection produces more highs and less midrange. A versatile pickup for many kinds of music styles. A retangular-shaped bobbins with or without a nickel-silver pickup frame. Copyright © 2007–2017 Rautia Guitars (contents) All Rights Reserved. Musical Instruments (FMIC). Rautia Guitars is not affiliated with Fender (FMIC) or Gibson.